Ships tomorrow if you order in the next 24 hours 21 minutes. Ascorbyl Palmitate is a fat-soluble form of vitamin C that is not water-soluble and can be stored in the membranes of your cells until your body needs it. It provides a number of health benefits aside from that of boosting your immune health. 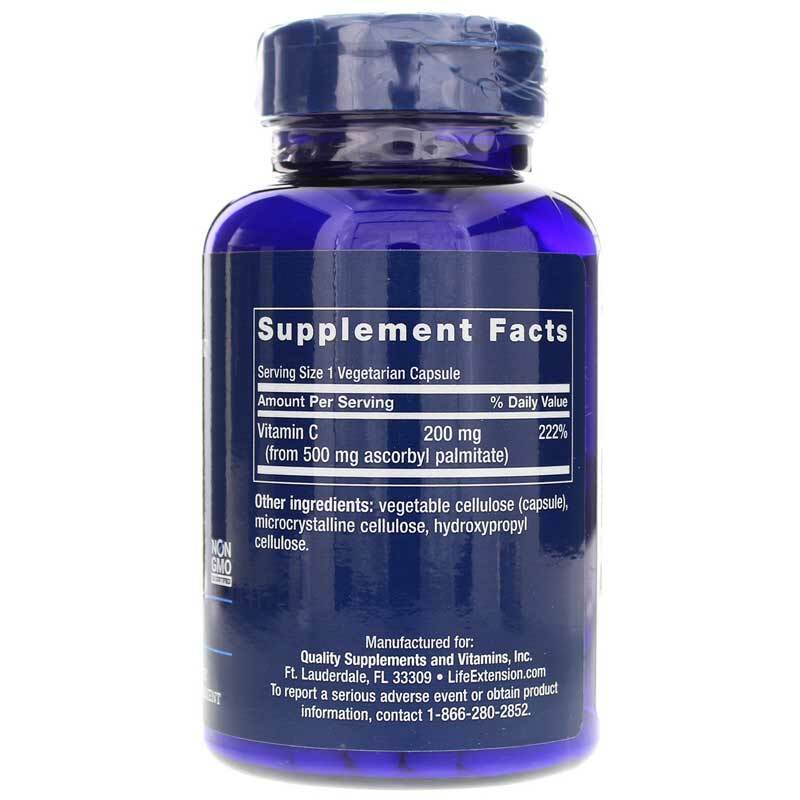 Life Extension's Ascorbyl Palmitate is an ester that is formed from ascorbic acid and palmitic acid. It has the ability to reach tissues and other areas that ascorbic acid can't, delivering extra health benefits. Ascorbyl Palmitate acts as a potent antioxidant, and may be as powerful, if not more, than vitamin E. It may also keep lipids from oxidation. It's formulated without the use of artificial additives, sugar, milk, egg, fish, peanuts, shellfish, tree nuts, soybeans, wheat, gluten, yeast, and corn. Just one easy-to-swallow capsule every day can help boost your overall health. 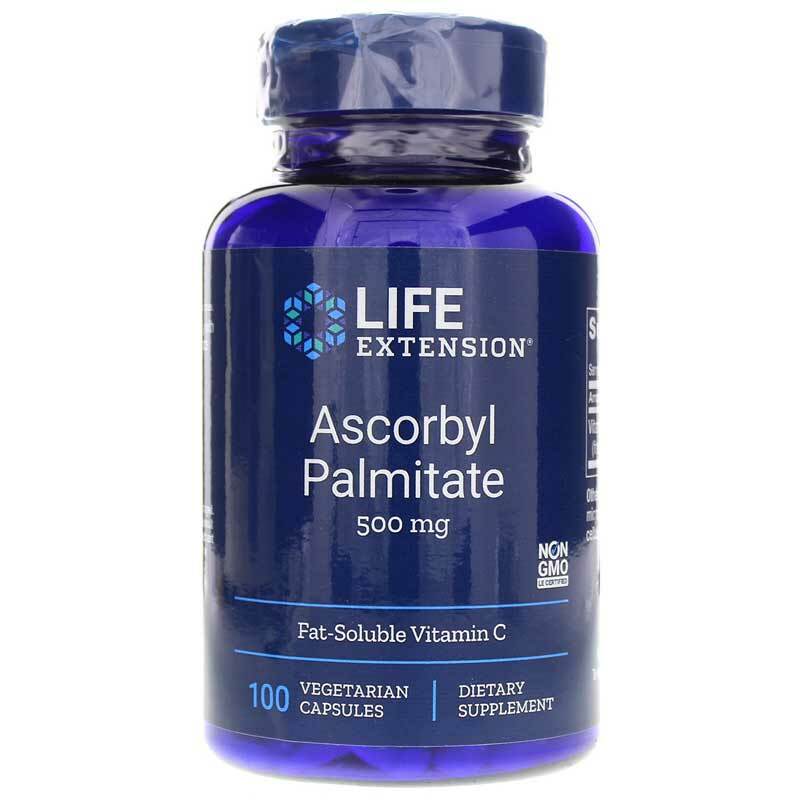 Give Ascorbyl Palmitate from Life Extension a try today! 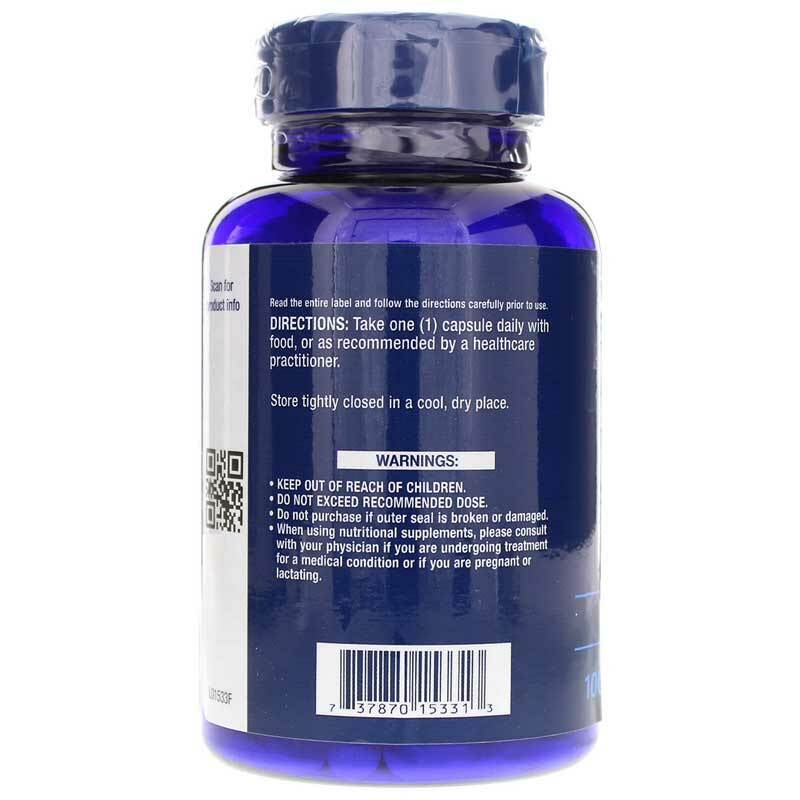 Other Ingredients: vegetable cellulose (capsule), microcrystalline cellulose, hydroxypropyl cellulose. Adults: Take one capsule daily with food, or as recommended by a healthcare practitioner. If you are pregnant, nursing, or undergoing treatment for a medical condition, consult your healthcare professional before using this product. Keep out of the reach of children.